The Garneau Theatre is easily accessible by public transit. The closest bus stop is serviced by the number 9 bus, and is a short walk from the University Transit Station. For more info visit takeets.com. 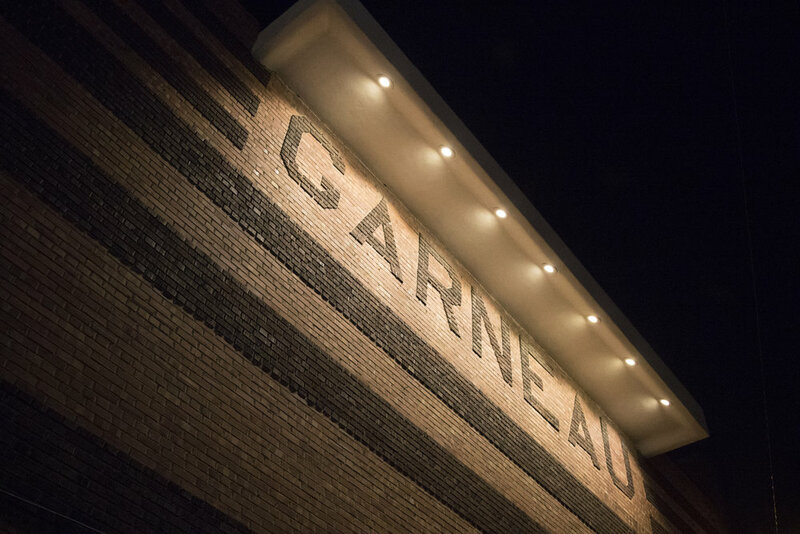 Because The Garneau Theatre is a heritage structure, in the midst of a vibrant mature neighbourhood, parking can be a challenge. The theatre does not have a dedicated parking lot. City of Edmonton street parking is available in the area, and is often free after 6:00pm. There is also parking available in the residential neighbourhood nearby, but be sure to pay attention to all signage, or you may get a ticket. Please note that the Garneau Theatre has limited accessibility for those with mobility issues. There are steps separating the lobby/washroom area from the auditorium and from the street. Washroom stalls cannot accommodate a wheelchair. While Metro Cinema is working towards the elimination of these barriers, they are not quite there yet. It is possible to get from an emergency exit into the auditorium. We encourage you to contact the theatre, or drop us a line in advance to discuss possible ways of mitigating any barriers for your visit.